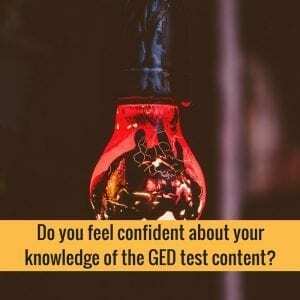 Do You Feel Confident About Your Knowledge Of The GED Test Content? Do you know the coverage of all the GED test subjects and have you prepared for each of the topics? Get a study guide and make a checklist of all the topics you need to study. In addition to knowing the topics, you also have to be familiar with the test structure and the types of questions you might see on the actual test. Once you’ve covered all the topics and have addressed areas that you find difficult, chances are you are ready to take the test. Do You Get High Scores In Your GED Practice Tests? When you take GED practice tests, do you get more correct answers than incorrect ones? 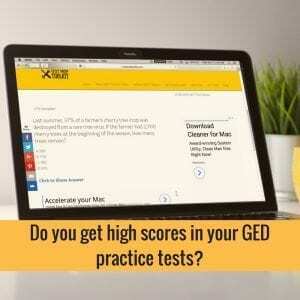 GED practice tests are crucial in your test prep. They can tell you what your problem areas are so you’d know where to focus your efforts when you study. They help you retain what you reviewed as you apply what you’ve learned. These tests can also predict the likelihood of you passing the test. If you regularly take practice tests and consistently pass them, then it’s a good sign of your GED test readiness. Otherwise, if you get low scores on certain topics, it’s time to focus on your weak points. You need to work on them. Numerous and valuable resources are available online for GED practice tests. Be keen on choosing a credible and reliable website to guide you in your test prep. Can You Finish Your GED Practice Tests On Time? By “on time,” that means you can finish taking your practice test within the time limit for each test subject. Let’s say you’re taking a GED practice test for math, can you answer most questions correctly within 90 minutes? That’s because you have 90 minutes to finish the actual GED math test. When you take GED practice tests, have your timer ready and set them according to the actual GED test subject time limits. You’ll know that you are capable of taking the GED test already if you can stay focused on your test and answer most questions correctly within the time limits. 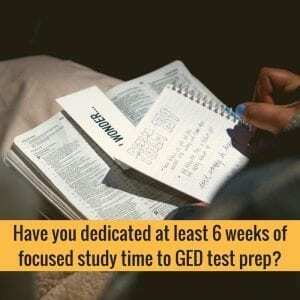 Have You Dedicated At Least 6 weeks Of Focused Study Time To GED Test Prep? Most tests, including SAT and ACT, need at least 6 weeks preparation time. The same goes for the GED test. You need to prepare at least one to two months before taking the test. The best time to prepare for the test is when you don’t have a lot of activities or projects that might interfere with your study time. 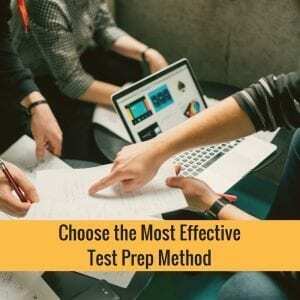 There are various test prep methods for the GED test. You can go by the usual route of attending adult classes or you can form a study group or hire a tutor. Otherwise, you can study on your own and at your own schedule with the help of an online study guide. You can look for a tested and proven GED test prep website where you can take practice tests, join online classes and interact with other test takers. Through this learning strategy, you will know what topics would come out in the GED test and you can specifically study for them. This saves you time and effort. Recent changes in the GED test bode well for test takers. The revisions in the 2014 GED test give better chances for learners to pass it.